But first, let’s take a look at how Ozzie and Harriet became America’s ideal fantasy couple by the 1950s. Oswald George Nelson, otherwise known as Ozzie, is a New Jersey native who after high school went to Rutgers School of Law in Newark. To make pocket money during his time in school, Ozzie played the saxophone in a band, in addition to coaching football. He was constantly rejected as a vocalist for the Rutgers Jazz Bandits but didn’t let the rejection discourage him. In his spare time, he organized a dance band that defied expectations and thrived beyond belief. 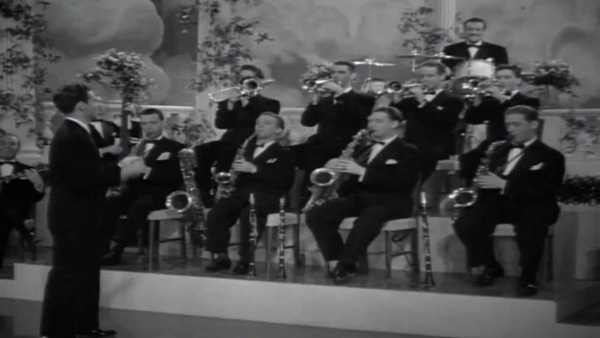 Eventually, during the Depression era, Ozzie quit school to pursue music full-time. He and his band played to full houses at hotels and ballrooms all along the East Coast.